if you’re craving a sweet treat for brunch, there is little more satisfying than a delicious french toast! essentially bread soaked in eggs and then fried, there is certainly skill involved in making sure the bread of choice (i’m impartial to a brioche) has been well egg-ified, that the egg has been cooked through properly (no one wants raw egg and bread), but also that the bread is still nice and fluffy inside (drool) and most importantly, that there is a delicious crispy outer crust.for those interested in a little bit of french toast history, the earliest known reference to is in the apicius (a collection of latin recipes dating to the 4th or 5th century). there are also known german and scandanavian recipes from the 14th century, and mentions in 15th century english writings. so perhaps, not so french after all!? regardless of heritage, this has got to be one of my favourite brunch dishes, and here are some of my top spots in melbourne where you can try your own. 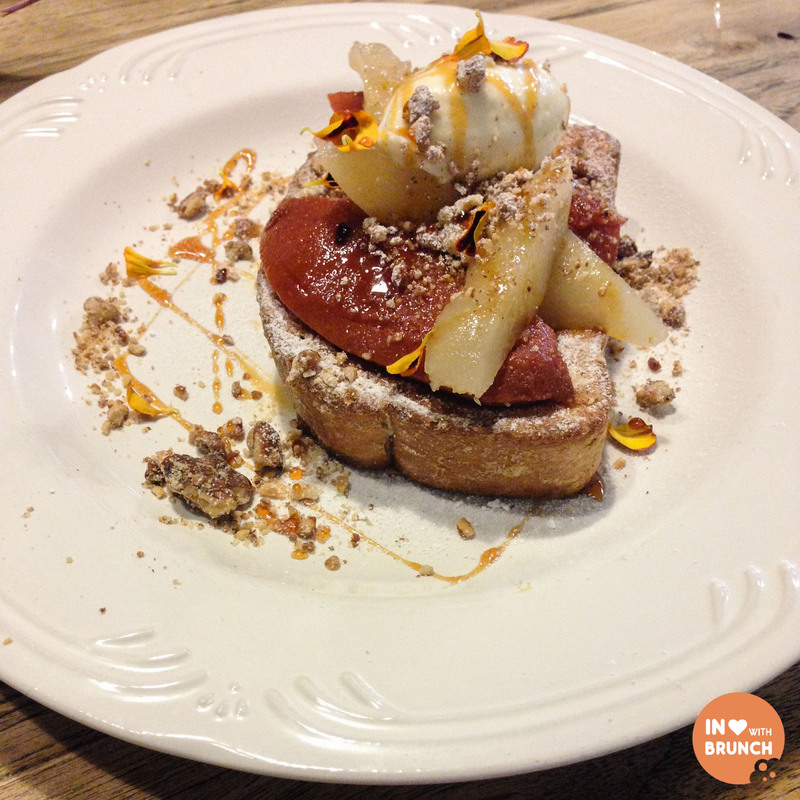 brioche french toast with vanilla poached pears, caramel sauce + double cream. this is one seriously thick piece of brioche which has been toasted to perfection – the perfect balance of egginess but with crispiness on the outside. the caramel sauce is sweet and delicious, without being too gluggy or over-reduced. and those pears… OMG – delicious! perfectly poached, sweet and slightly golden. presentation was simple + it may not look like much; but put it all together and the taste was unbelievable. if you’re a french toast fan, then you are missing out until you’ve tried this one. 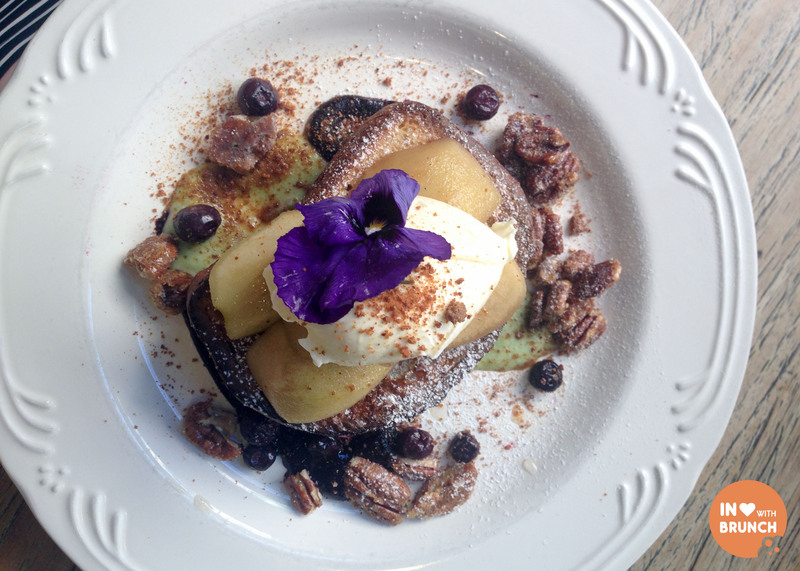 brioche french toast with spiced apples, pain d’épices crumb, blueberry gel, caramelized pecans + vanilla mascarpone. pretty as a picture and beautiful complimenting flavours. this dish is not overly sweet like some french toasts + the crunch of the walnuts are divine. brioche french toast with fresh figs + strawberries, cinnamon sauce + pistachios. this weekend special hit the mark in every way! beautiful presentation! the little cup of cinnamon cream in the middle was so cute, and the figs looked so beautiful on the plate! the taste was not overly sweet, but the combination of the beautiful fresh brioche perfectly toasted + the fresh figs and strawberries was outstanding. the crunch of the pistachios was beautiful + the mint (a stroke of genius!) really lifted the dish. and then, for me, the thing to tie it all together: the cinnamon sauce! it was the consistency of a slightly thickened pouring cream, beautifully smooth and creamy, and the taste of the cinnamon was really evident. totally satisfying + enjoyable! fried brioche with raspberry cheesecake, pistachio meringue + fresh berries. pink + flirty this brioche with raspberry cheesecake was light + playful. not overly sweet, the cream cheese of the cheesecake added a lovely balance to the meringue. brioche was golden + fluffy and the fresh berries were lovely. a seriously huge serve – attempt this one with a big appetite! 5. chez dre ii, south melbourne i admit to coming back for more than one of these bad babies! brioche french toast house made brioche, seasonal fruit + vanilla mascarpone. 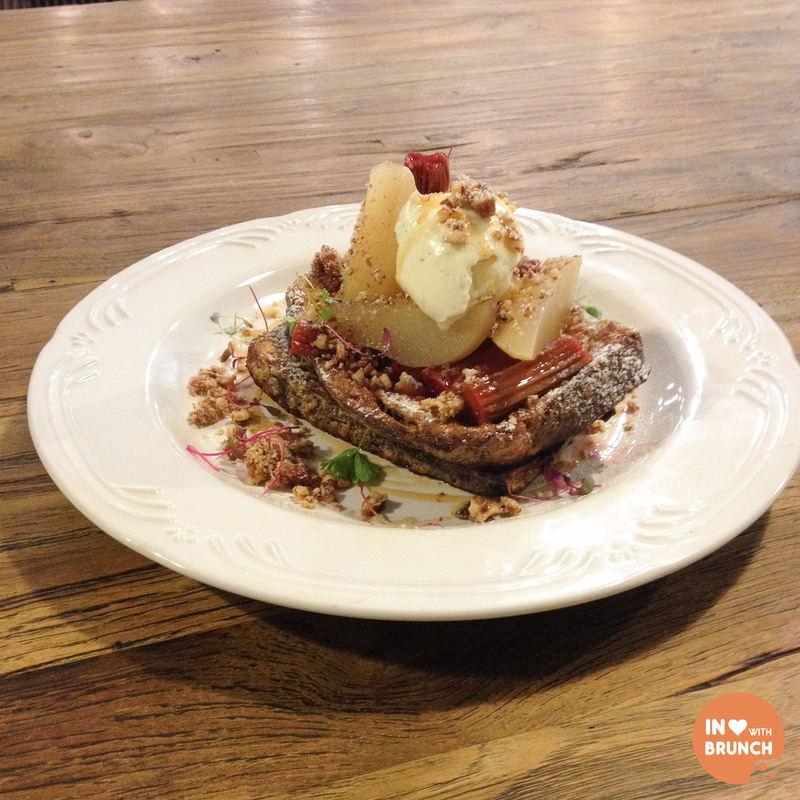 well balanced – this french toast isn’t drowned in maple syrup and the rhubarb creates an excellent contrast to the crunchy candied nuts and sweet pear. 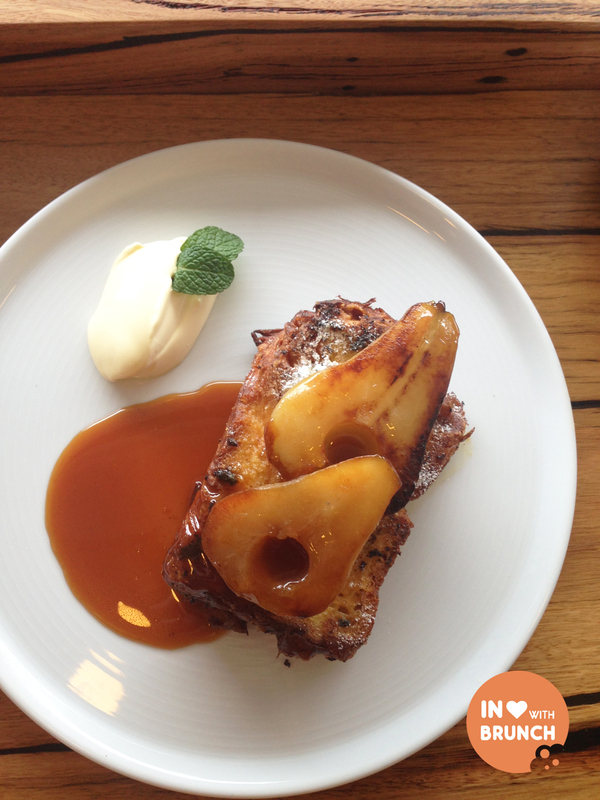 french toast with salted caramel and grilled banana. 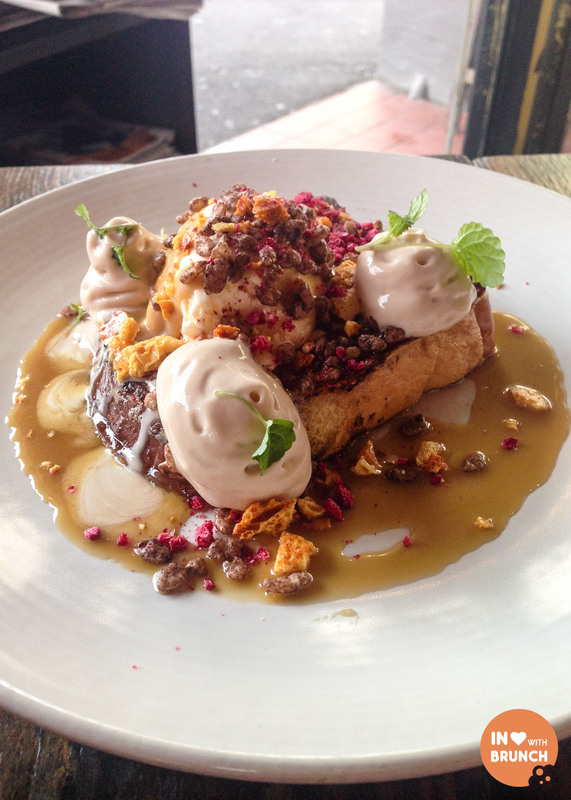 whilst not the best presentation, this french toast is packed full of sweet goodness. the bread was egged and grilled just perfectly – soft and buttery on the inside – dusted with cinnamon sugar and topped with salted caramel and grilled banana. 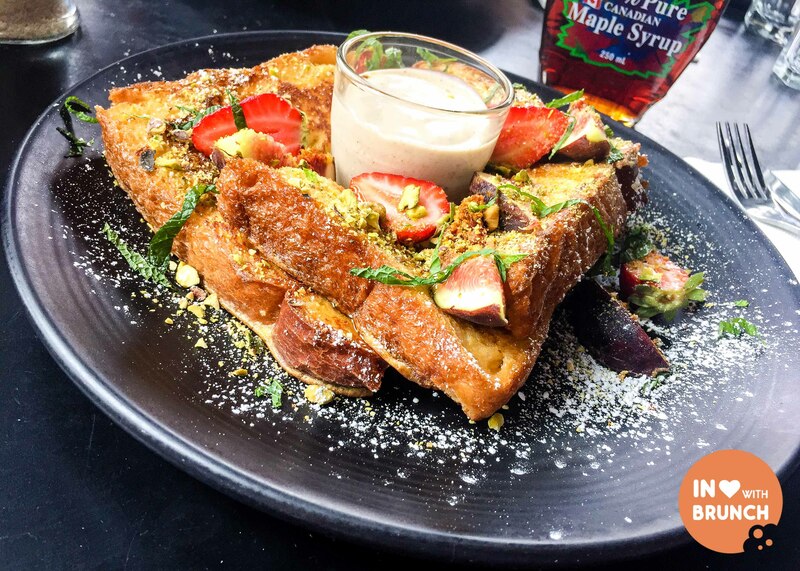 needless to say, melbourne is flush with french toast options to suit any sweet tooth out there! enjoy! I’m more in love with all your posts here and on Instagram! Your posts makes me jealous all the time! Great review 😀 I hope to visit Melbourne very soon and try out these places. I absolutely loved Chez Dre! 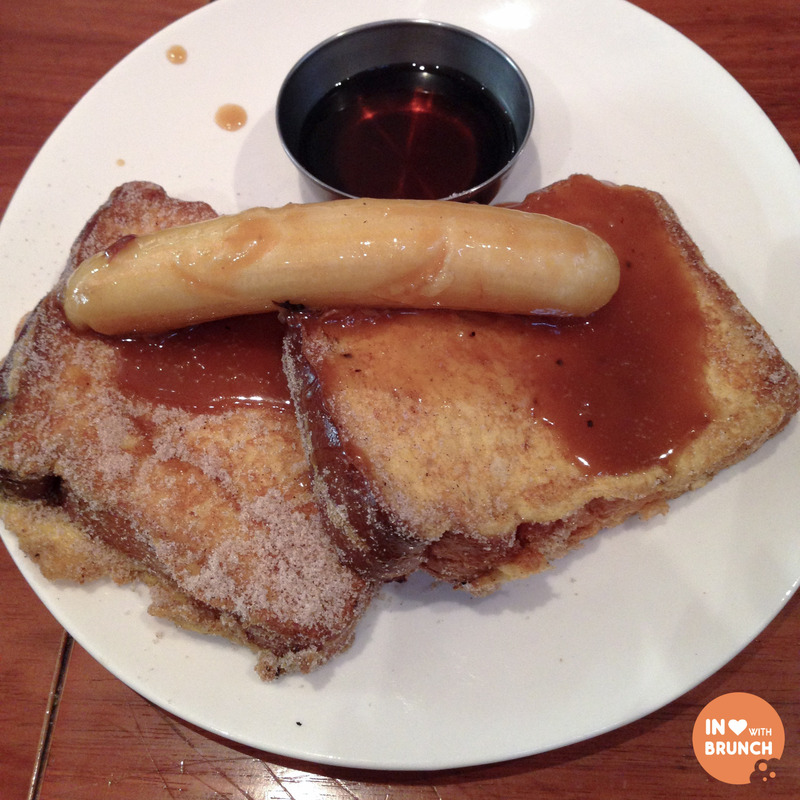 Have you tried the french toast at Breakfast Thieves? It was pretty good too! ooh, will have to try! thanks for the tip! Great post! I eat French toast just about every where and I completely agree with your list. You really can’t go past Stagger Lee’s, Chez Dre and Auction Rooms. I’m getting late night French toast cravings now. Ooh any other recommendations? I’m a big french toast fan too! to express that I have an incredibly just right uncanny feeling I found out exactly what I needed. this web site annd provides it a lookk regularly. 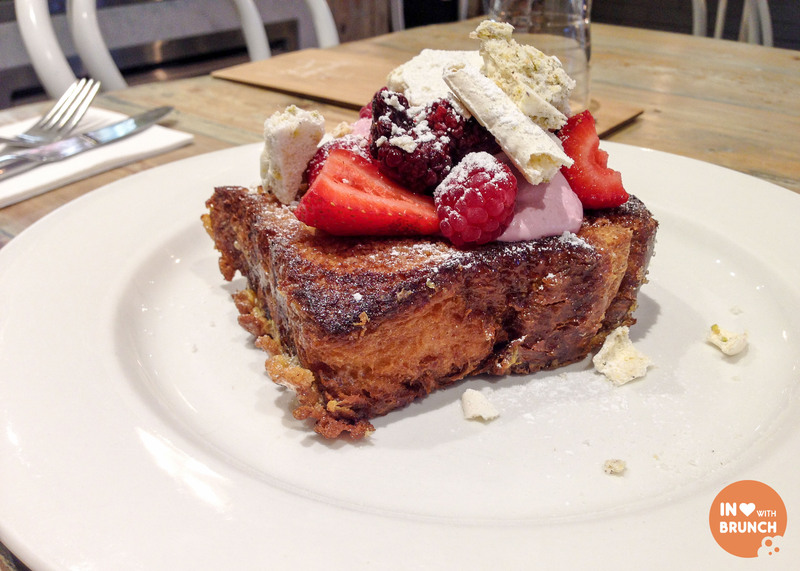 You need to try Brioche french toast at Sugar Buns Hampton Park !!!! !